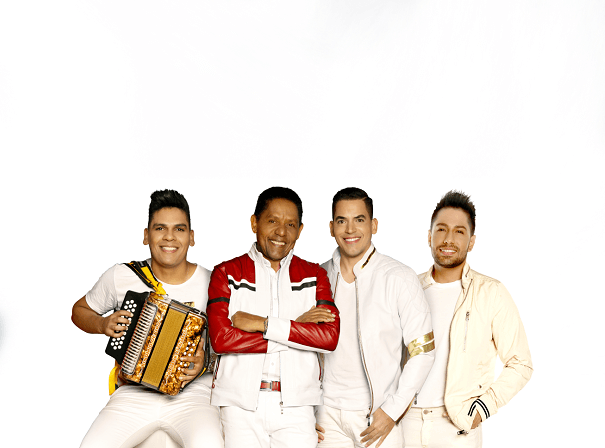 Binomio de Oro de América or ‘The Binomial American Gold’ is a Colombian music group beloved by many across Central, South and North America for their upbeat, accordion-heavy, sound that draws from the traditional style of vallenato. The group has received four nominations for the Latin Grammy Awards thanks to the incredible success of their albums Grafiti de Amor, Impredecible, Vuelve Y Pica El Pollo, and Corazón de Miel. The lead single from the second Binomio De Oro album, ‘La Candelosa,’ spent 15 weeks on the tropical charts, peaking at No 10. Binomio de Oro has recorded over 36 albums and contributed to the projects of many other artists over an illustrious career that few artists can claim to equal. The group was founded in 1976 by lead singer Rafael Orozco and musician, composer and accordionist Israel Romero, both of whom previously found success as solo artists. They recorded at least one album a year over the next fifteen years, until their founding member was unexpectedly assassinated. Determined to carry on their legacy, Romero began to look for artists to collaborate with, who would eventually assume different positions in the group: notable members, past and present, include Jean Carlos Centeno, Deiner Bayona, Didier Moreno, Jean Piero Spano, and Jorge Celedón. Fans were ecstatic when Jean Carlos and Jorge Celedón joined Israel Romero on stage in 2018 for a reunion performance; a remarkable beginning that’s provoked excitement for further Binomio de Oro tour dates scheduled throughout 2019.